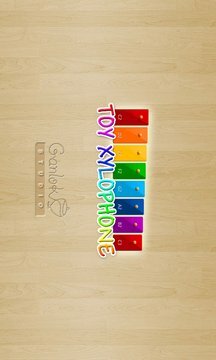 Toy xylophone is not only a fun instrument for kids and adults to play, but also a simple learning tool to learn how to play more than 90 children and folk songs from all over the world! - 6 more Christmas songs added for the coming holiday season! - Multi-touch support. You can play it like a real instrument. - 90 children and folk sample songs from all over the world. - Two beautifully designed music keyboards, rainbow and wood styles, for you to choose from. - Tempo adjustment during song playing, so you can easily learn how to play the song. - Pause and mute function during song playing. You can easily follow the blink notes and play the full song! 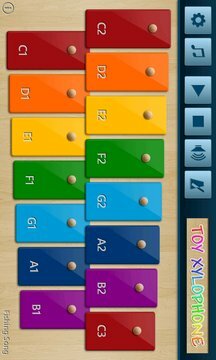 If you like Toy Xylophone, please leave us a nice rating to help us create more great apps, and don't forget to check out our other apps!